Love your desserts? 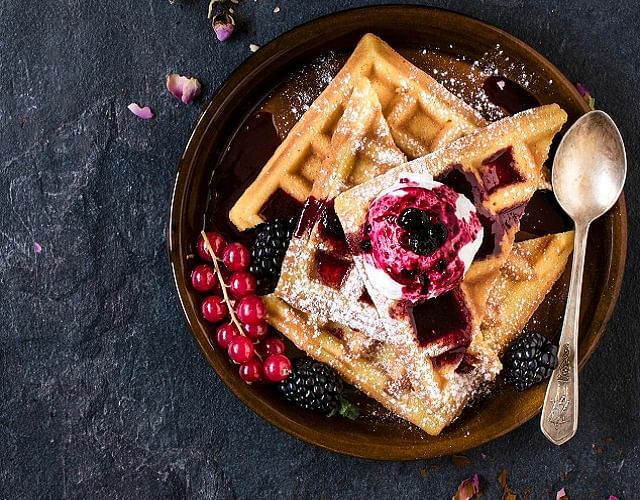 Then you must visit these new cafes serving up some of the most delicious cakes, ice creams and waffles. #02-01, Orchard Gateway, tel: 6386-6387. Colours are bright at Sugar Lips, from their décor right down to their desserts. The interiors feature paint splashes and spills in neon hues. You can’t miss its vibrant entrance, which is bedecked in bright blue and pink dots. 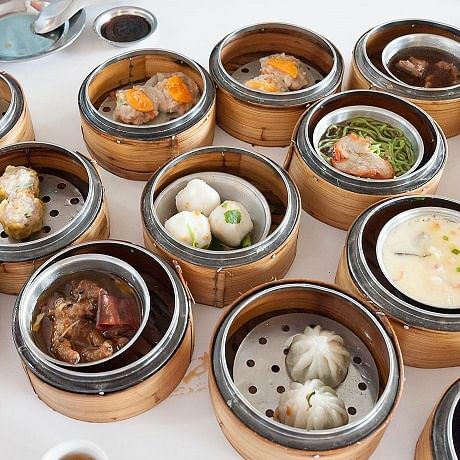 Like their décor, their desserts are drizzled lavishly in various sugary sauces and then adorned with confectioneries and fruits, creating sweet platters that are feast for the eyes as well as the taste buds. Popular picks include their Rainbow Fantasy Cake and the Chocolate Seduction Truffle Cake. The latter features the Instagram-worthy rainbow cake while the latter is a chocolate cake paired with a side of creamy Thai milk tea gelato that is absolutely worth the calories. Dessert platters start from $12.90 for 1 topping, with a choice of cake, waffle or lava cake. 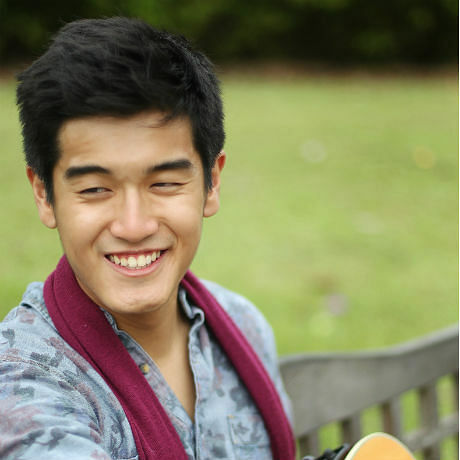 36 Lorong Mambong, tel: 6816-2996. With the recent proliferation of bingsu (Korean shaved ice dessert) shops in Singapore, we don’t get particularly excited if a new one is popping up. But Ajoomma stands out from the sea of bingsu cafes with their bingsu in a jar, a compact version of the shaved iced creations we usually see. 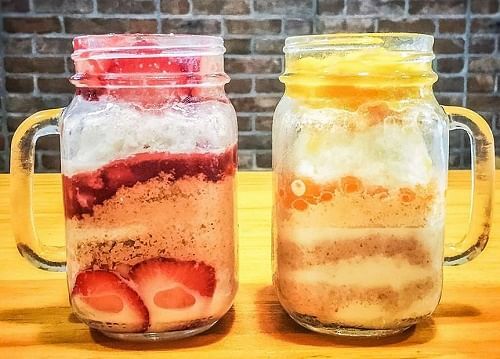 While conventional ones have mountainous refined ice shavings which are then garnished with all kinds of syrup, fruits and other toppings, the bingsu in a jar at this dessert has all the goodness cramped in a jar. Not only is eating from a jar absolutely hipster, the portion is suitable if you’re looking for something less substantial. The price tag is also affordable at $8.90 per jar. 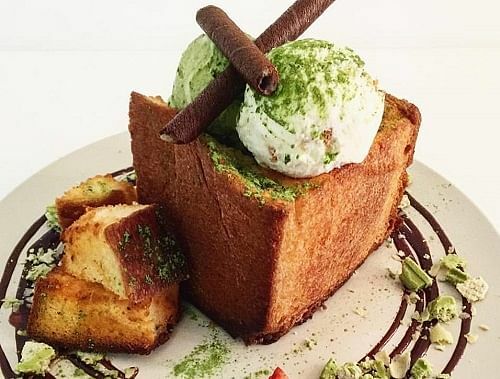 Besides bingsu jars and conventional bingsu, Ajoomma also serves up thick toasts and buttermilk and charcoal waffles. 204 Rangoon Road, tel: 9878 6543. There’s a new dessert in town, and it’s taking social media by storm. 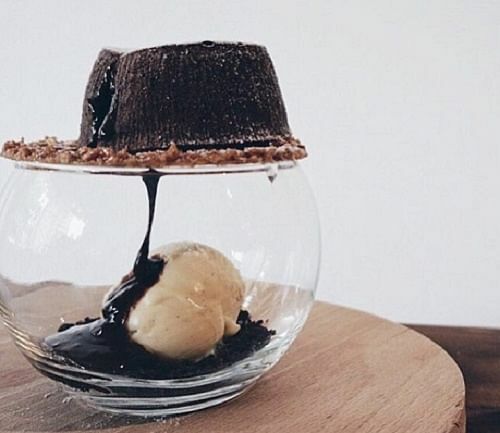 Meet Avalanche, which consists of a molten cake placed over a glass bowl with a scoop of ice cream inside. Cut into the cake and the liquid drips seductively onto the ice cream, making for an envy-inducing Instagram shot. This cold and hot treat is delicious too. 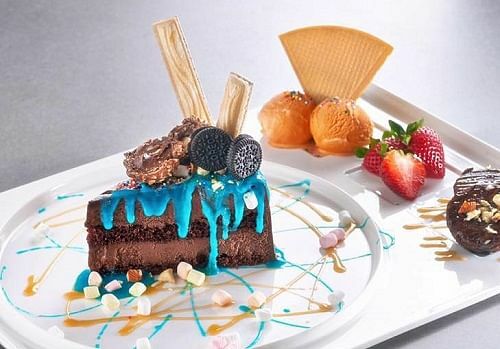 Recommended flavours include the Chocolate Avalanche ($13.90), which features a warm Valrhona chocolate lava flowing onto a chocolate soil almond nougatine and orange-infused vanilla ice cream, and the Horlicks Avalanche ($13.90), where Horlicks white chocolate lava runs down peanut butter crumble, crunchy almond nougatine and milk gelato. Other interesting treats by this café include their nostalgic sweets, giant-sized versions of yesteryear local desserts such as the Ang Ku Kueh ($9.90), made from strawberry curd and the Tutu Kueh ($8.90), a coconut almond sponge cake. #06-03, JEM, tel: 6262 0339. 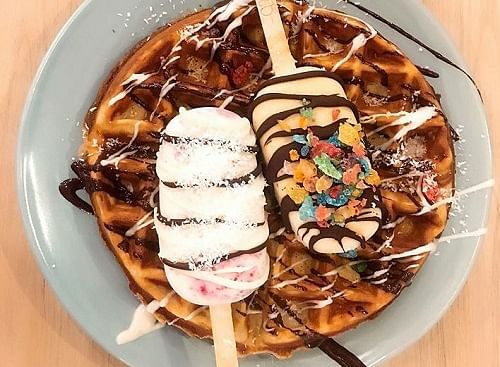 Hidden away at the sixth floor of JEM shopping mall is Poppy Pops, an ice cream parlour that also serves up the usual café grub. While their pastas, sandwiches and fries aren’t anything to shout about, their desserts are another story. Their main draw are their handmade gelato popsicles which come in a wide range of flavours. You can have them just as they are, or pay a price for toppings and coating including fruits, nuts, cornflakes and chocolate. If you can’t decide which flavours to settle for, go for the Poppy Trio ($6), where you can have your choice of three mini gelato ice cream. Order the waffles (drizzled with maple syrup) for a more filling treat. #01-277, 46 Owen Road, tel: 6291-5221. The signature dessert here is the Shibuya Toast ($16), featuring a thick-cut buttery bread offered in three flavours – Classic (topped with sea salt caramel and vanilla ice cream served alongside berries and maple honey), Rocher (topped with hazelnut and vanilla ice cream served alongside a medley of chocolates and ganache), and Matcha (topped with green tea and vanilla ice cream served alongside fruits, biscuits and white chocolate ganache). Also go for their dessert milkshakes, over-the-top creations embellished with all sorts of sweet things and their crunchy, flaky macarons in flavours such as red velvet, blueberry and salted caramel.